One month ago, we posted a short post on the gaming section of a Toys ‘R’ Us Holiday catalog from 1996. It quickly became one of our site’s most popular posts, so I decided to find another ad from the early 90s, this time from four years earlier, to sift through. This one is much more stylistic from Kay Bee Toys, which eventually went out of business in 2009. 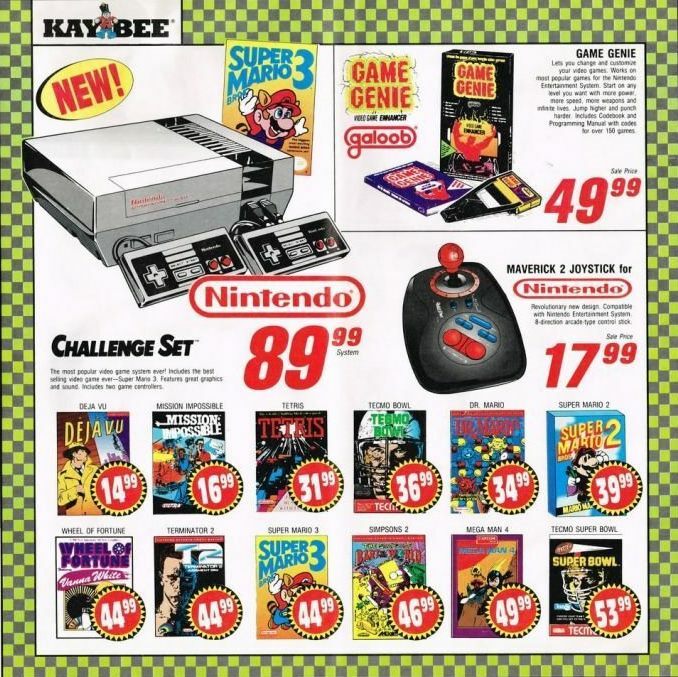 This three-part ad features individual pages for NES, Sega Genesis and Super Nintendo respectively. In 1992, the Super Nintendo had been out for a year. But the NES sales pushed through. The final NES game, Wario’s Woods, was eventually released in 1994. Mega Man 4 is one of the more expensive titles, and still has retained its value over the years. The Sega Genesis page clearly showcases the company’s focus on an older crowd than Nintendo’s. Half of the Genesis games were sports titles, with the sole kids game being QuackShot: Starring Donald Duck.